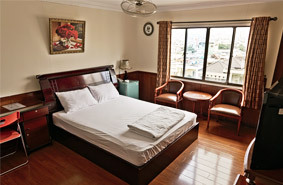 Tan Hoang Mai hotel has about 50 rooms or more. All build on convenient locations in the city yet still offers privacy for our guests in the middle of one of the most exciting and industrial city in Southeast Asia. Each hotel all is fully equipped such as: mini bars, air conditioners, satellite TV, wireless internet, etc... to meet your comforts and satisfy your needs. We also have restaurants in our hotels that make home-made dishes from Vietnam and also some Westerner dishes as well without any extra room charge. 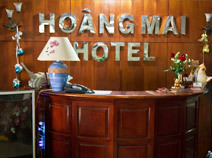 All of our hotels have earned 2 stars hotel standard which has given by Vietnam Administration of Tourism. Most of all, it is our mission to create a warm living environment during your entire stay with us. At the same time, each hotel contains unique personalities which will bring you special memories after each time you stay with us. 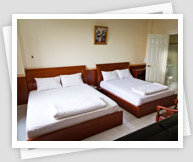 It is always our main concern to give you our best hospitality in town. Why don’t you have your own experience with us?